YouAreYOU delivers Holistic Coaching, Personal Development Workshops, Talks, Training and Education Projects in The UK and Internationally. At YouAreYOU, we love to work with clients who are experiencing crucial shifts and changes, as well as major transitional life experiences, while striving to meet their dreams and goals. Our delight is in seeing how their lives flourish and transform. Our work also centres on Sensitive Children and Sensitive Adults, who have a much gentler approach to life and may be overwhelmed by their transitional life experiences. We invite clients to face their fears and find the answers to accomplish their goals. We work with the whole person: the mental, emotional, physical and spiritual aspects. Our work is heart centred; something we are very passionate about. We also work in partnership with other agencies, both in The UK and abroad. Photo: Karlene Jackson. 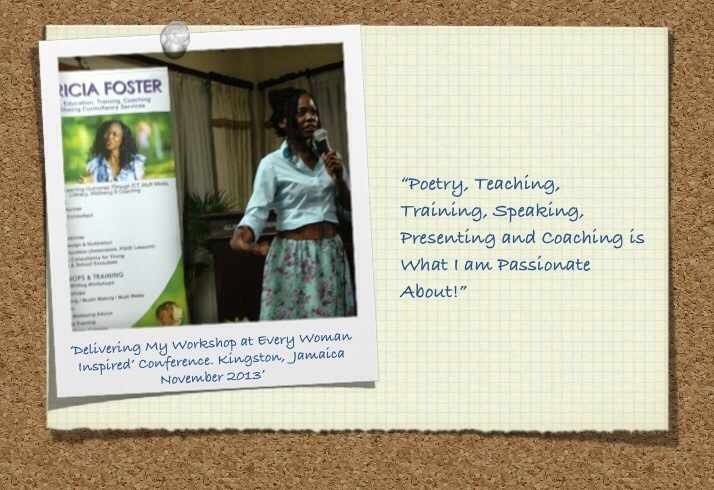 Our workshop attendees at the ‘Every Woman Inspired’ conference, Jamaica, October 2014. Holistic and Wellbeing Advisor, IT Expert and self-confessed Geek, Blogger, Certified Reiki Practitioner, Anti-Ageing and Youthfulness Coach, and passionate Vegan. She divides her time between Coaching, Writing, Training, Workshop Facilitating and being a Motivational Speaker. She is a great listener, with an empathic approach to the client’s needs. Patricia also has a natural tendency to leave people feeling uplifted and empowered after speaking with her.